With a name like Dead Ceremony and opening lyrics '....you are my trophy of missery' you would only expect an equally representation of depression and sorrow in the music itself. Yet what we are presented with is one of the most emotive and hauntingly beautiful compositions I have heard in the past 12 months. Exploiting his despondency and anguish, Christopher Stewart throws us in to a chasm of textural beauty as Trophy blossoms and surrounds us with all its warmth. 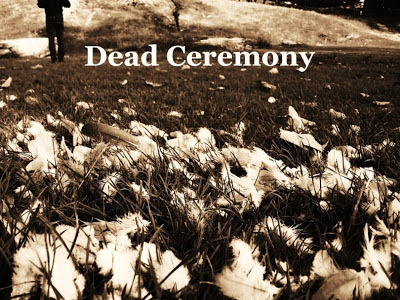 Calm at heart yet retaining a hard hitting emotional tail of pure indulgence I'm intrigued to see what else Dead Ceremony can bring to the table.